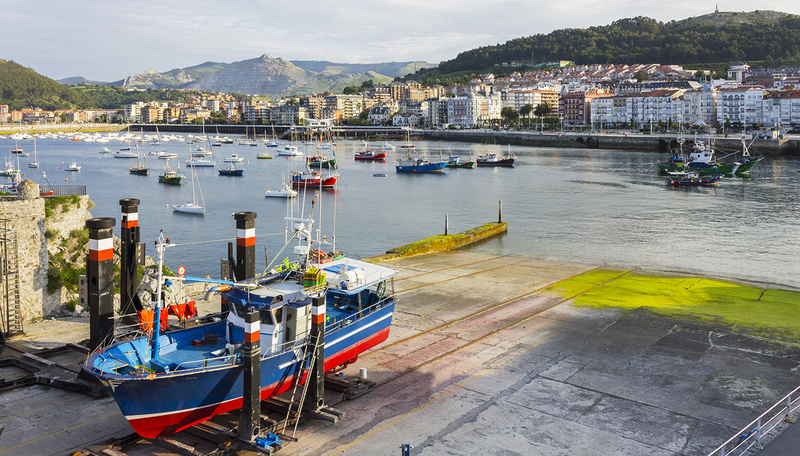 Part of the Passeio Marítimo de Castro Urdiales extends to about 400 metros , forming one balcony over the Ocean and the Port with 10 meters width. 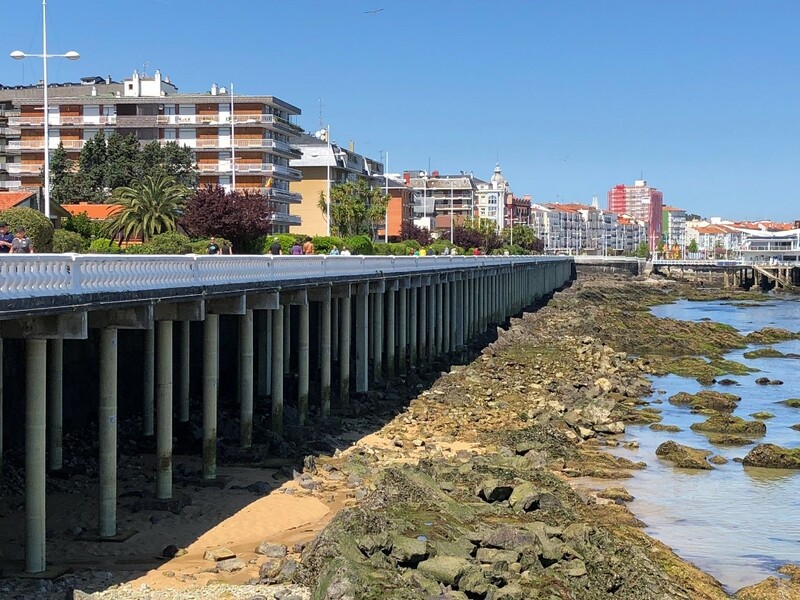 In the 80´s a structure with 97 reinforced concrete frames was added to the primitive walk, used nowadays as a pedestrian and bicycle side walk. 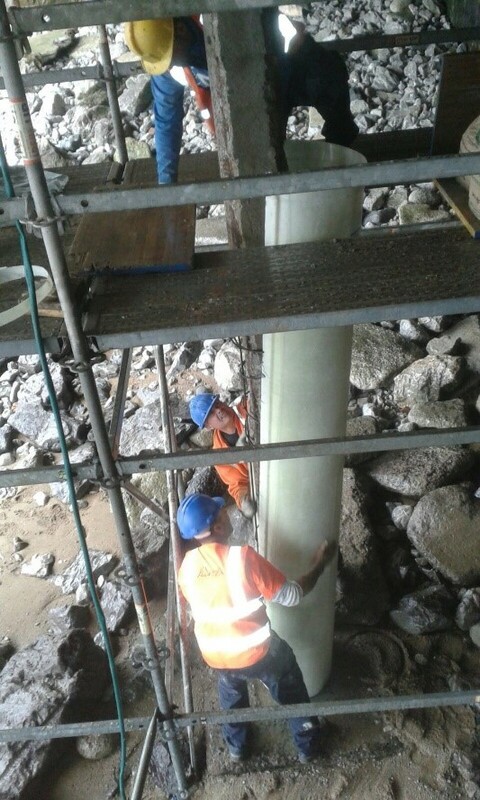 The columns have a rectangular cross section of 30 x 30 cm2 and a average height of 5 meters. The structure is located in maritime zone and the reinforced concrete its being in permanent exposure to an aggressive environment. Over time the structure has developed a number of pathologies, which put into question the durability. 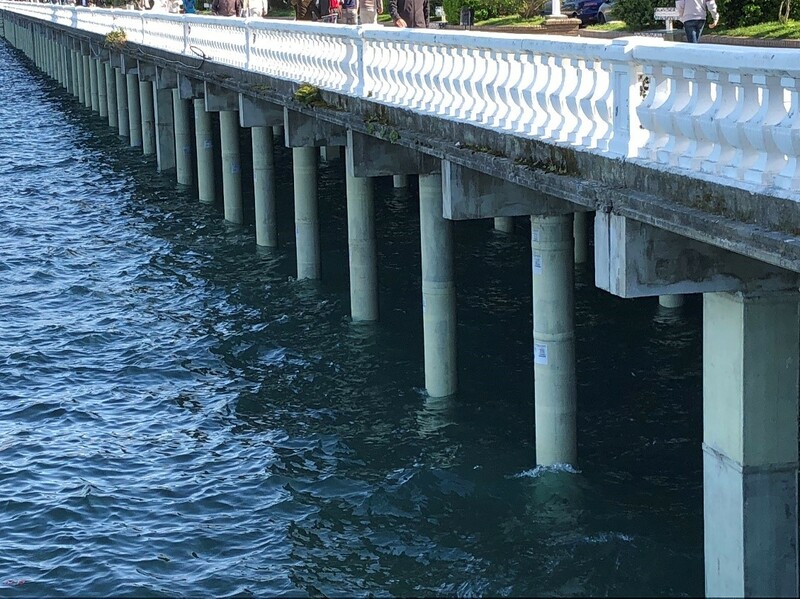 To provide the structure with a new extended life, the columns were reinforced and protected from the aggressive maritime environment. 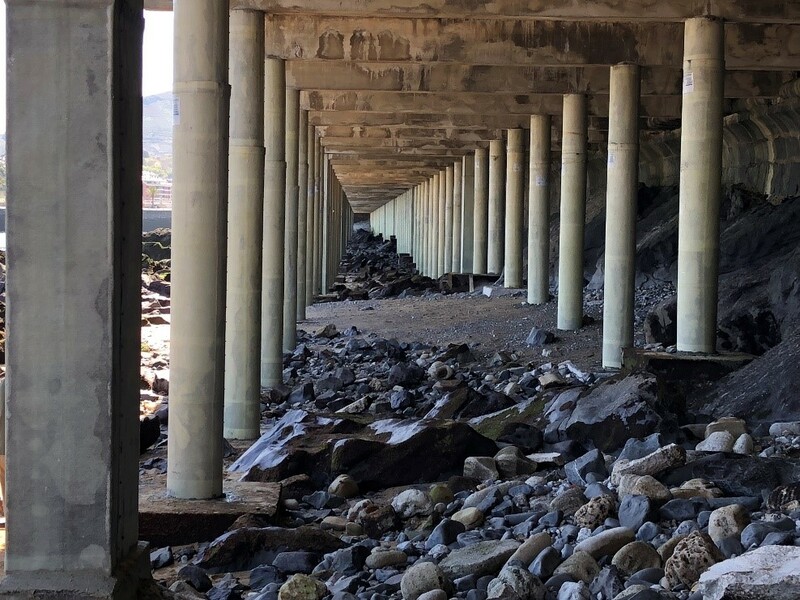 The Columns presented a generalized deterioration, in particular in the edges, with little covering of reinforcement steel, detachments, cracks and exposed rebars. 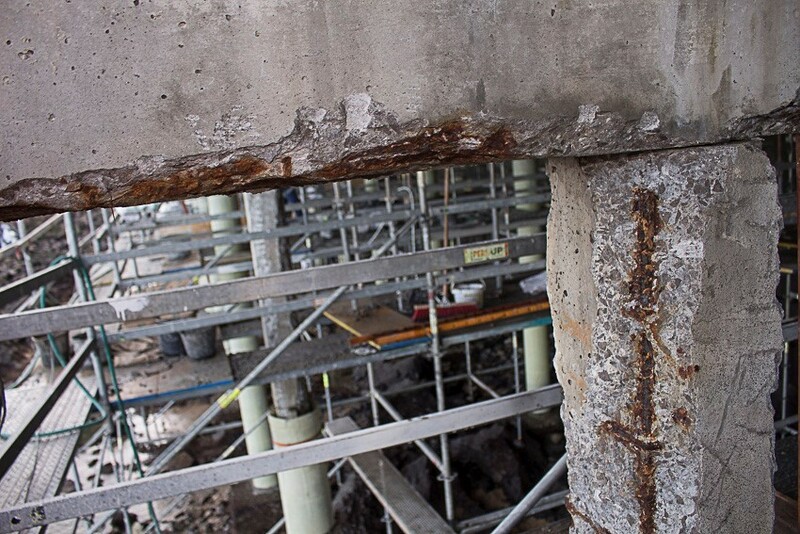 In the case of beams, it was observed a lower deterioration, observing corrosion of the reinforcement in punctual zones. It was intended to have a solution that would recover the original capacity of the structural resistance, lasting and easy to apply. 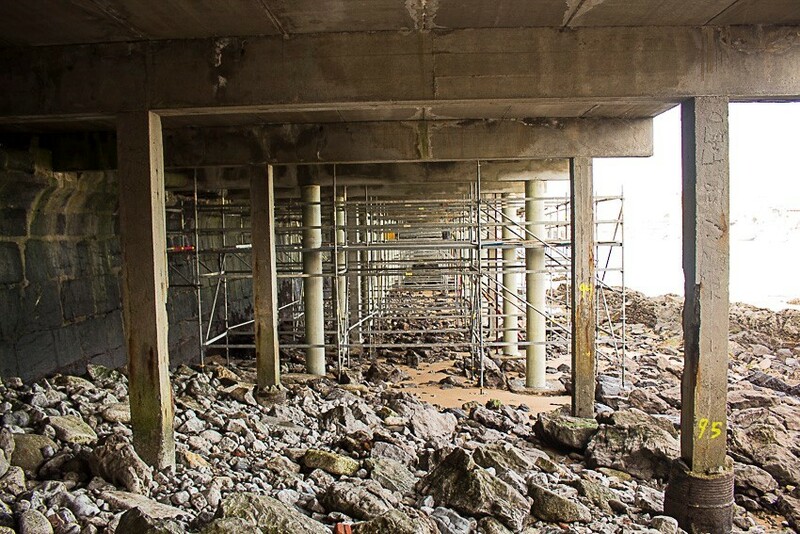 Given the location of the structure, it was also important to avoid stopping of structural service during the maintenance work. 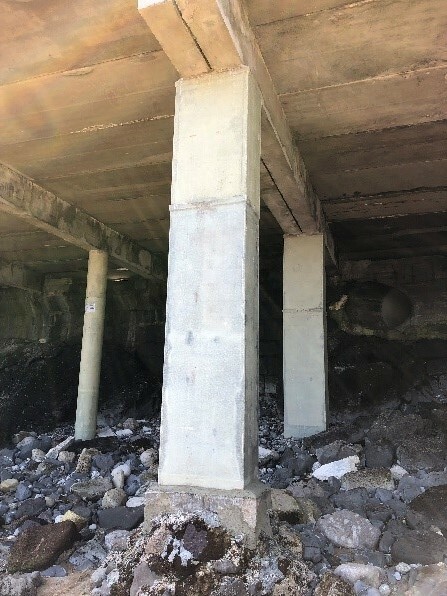 The FX-70® System consists of applying to each column to repair a fiberglass jacket, lost formwork, integrant part of the column structure protection system , protecting the concrete from any aggression of the marine environment. Prior to the application of the FX-70® Jackets, it is necessary to carry out a cleaning of the support by removing all the concrete spalling parts and passivating the reinforcements with the S & P TECNOPROT-EPOX epoxy base product. All Fiberglass Jackets are tested by the American ASTM standard and are custom made to suit project requirements. In this case, translucent circular Jackets with a diameter of 42 cm by 3 mm thickness were applied to the original rectangular columns . 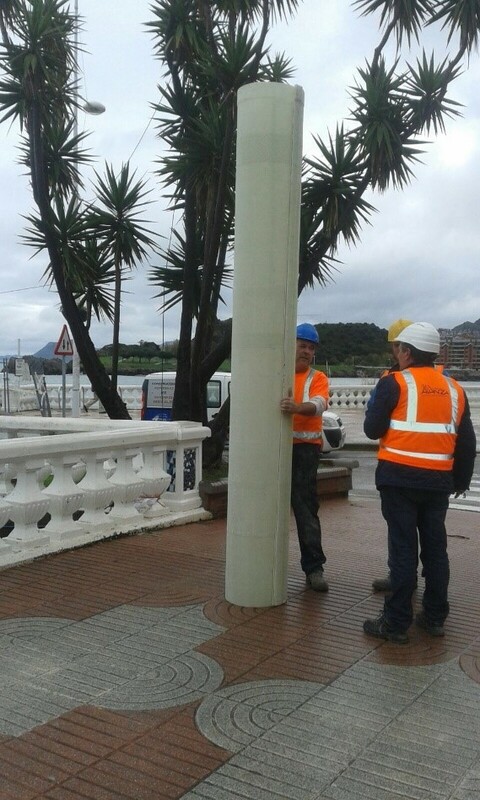 Since the average height of the pillars exceeds 5 meters in height, for easier application, the protection system was applied in two sections. 36 rectangular FX-70® jackets cross section 74 cm x 44 cm and 3 mm thick with 4 sizes: 3.20 m / 2.50 m / 2.00 m and 1.50 m.